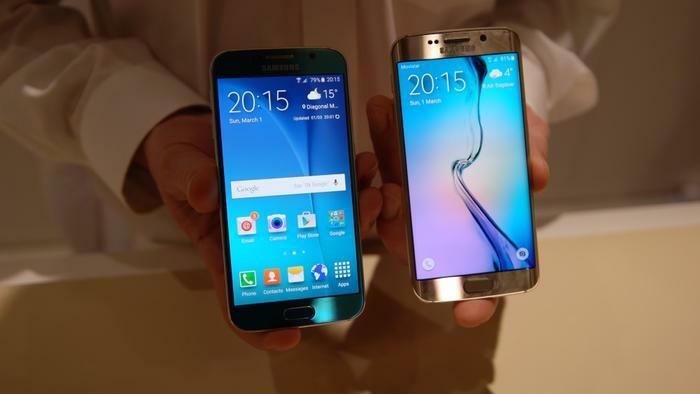 Expect big differences with the upcoming Galaxy S6 and the S6 Edge. Samsung started from scratch with the new smartphones. During development Samsung employees referred to it as ‘Project Zero’. Admittedly some features had to be sacrificed. Both Galaxys lack expandable storage, removable batteries and waterproofing credentials. Then again, so do most of the smartphones on the market. 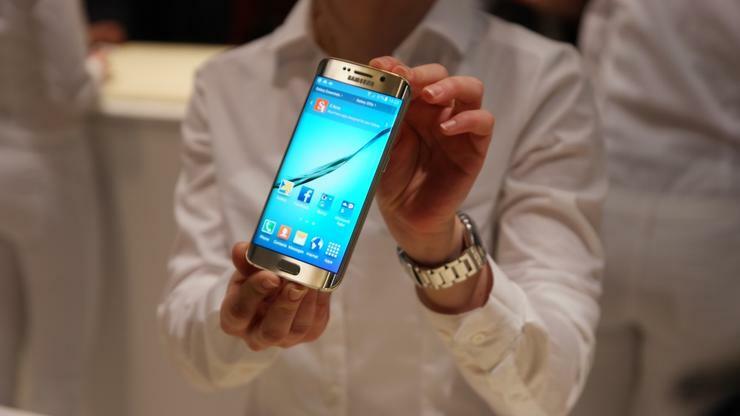 Samsung has focused instead on implanting the best technologies into a small and slender smartphone. Changes made to the exterior are drastic and therefore immediately noticeable. The smartphone is built on a metal chassis and has a back coated in Gorilla Glass 4. The executive vice president of Samsung’s mobile division, Young Hee Lee, said the metal is 50 per cent stronger than that of the competition. “My first language may not be engineering,” Lee began, “but I do know this stuff will not bend.” That was the first of many quips made at Apple’s expense. New to the Galaxy S range is the S6 Edge, which is the world’s first smartphone to have the screen curve on both its left and right sides. Precise manufacturing techniques were needed to curve the glass, said Lee, such as heating the glass to 800 degrees Celsius. The S6’s edge display functions differently to that of the Galaxy Note Edge. Swiping inwards from the curve populates favourite contacts. Its other function is to glow during incoming calls and texts, so that when the smartphone is face down, the display glows like an advanced notification light. 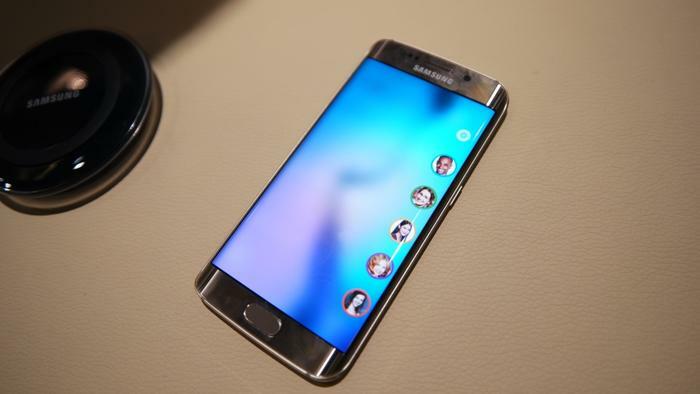 Both the Galaxy S6 and the S6 Edge are based on the same display; a 5.1-inch AMOLED panel that has a resolution of 2560x1440 and a density of 577 pixels-per-inch. 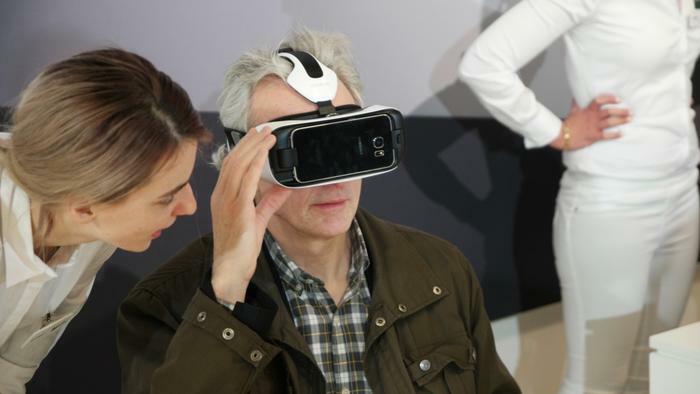 The quality of the screen has prompted Samsung to partner with Oculus on virtual reality headsets designed specifically for the S6 range. Raw numbers impress. There’s an octa-core processor comprised of 2.1GHz and 1.5GHz quad-core CPUs, 3GB of DDR4 RAM and options of 32GB, 64GB and 128GB of storage. Powering this hardware are fast-charge batteries that can gain four hours of charge after being plugged in for ten minutes. Alternatively an in-built charging pad — compatible with WPC and PMA standards — can replenish the smartphone wirelessly. Cameras all around have been upgraded with the rear camera being 16 megapixels and the front jumping up to 5 megapixels. Both cameras have an aperture of f/1.9 for improved low-light performance, while the rear camera can be booted from any screen in 0.7 seconds and gains optical image stabilisation. 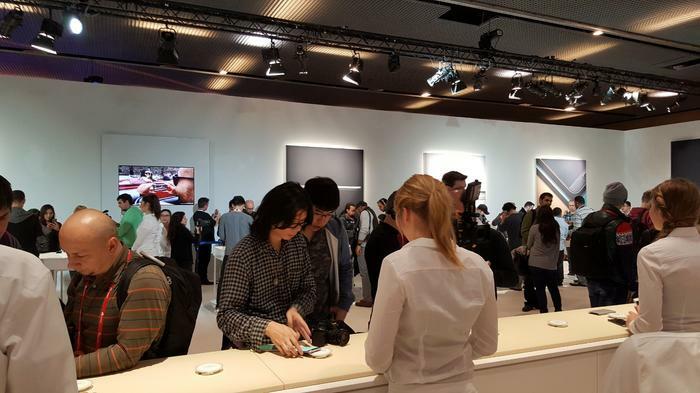 Samsung executives compared the S6’s camera with that of Apple’s iPhone 6 Plus’ with a photo taken at night. The photo on the left was taken with the iPhone 6 Plus. The photo on the right has been taken with the Samsung Galaxy S6. 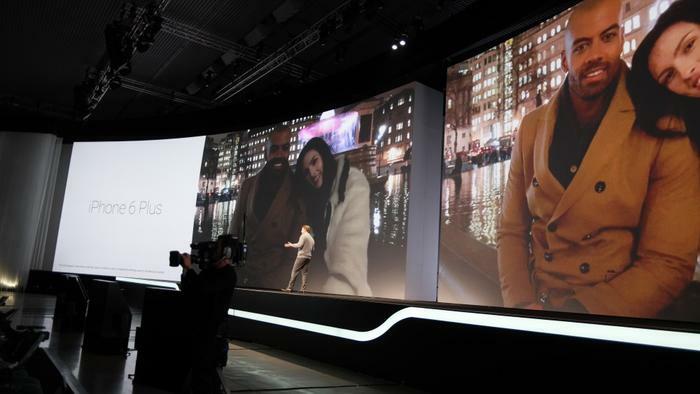 Samsung executives claim the photos were taken with the same settings and at the same time. One of the most important upgrades made to Samsung’s next-generation flagships concerns the software. Samsung has simplified TouchWiz and leaned more on the design introduced by Lollipop. The Android 5.0 operating system feels less convoluted and significantly more refined. Other tweaks involve a finger scanner that no longer requires a swipe, and a payment system that will be released in the US and Korea first. 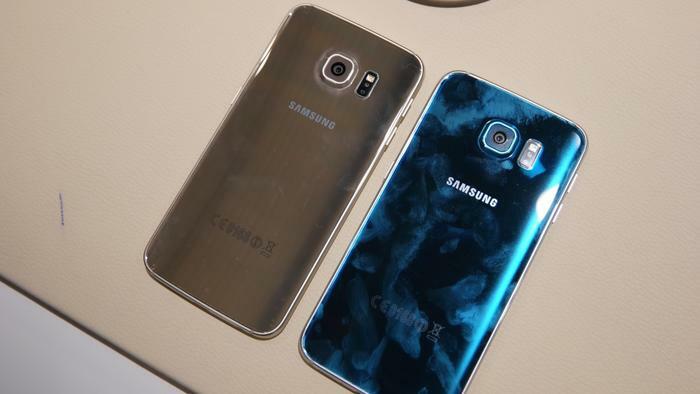 It is unknown when the Galaxy S6 and S6 Edge will reach Australia. 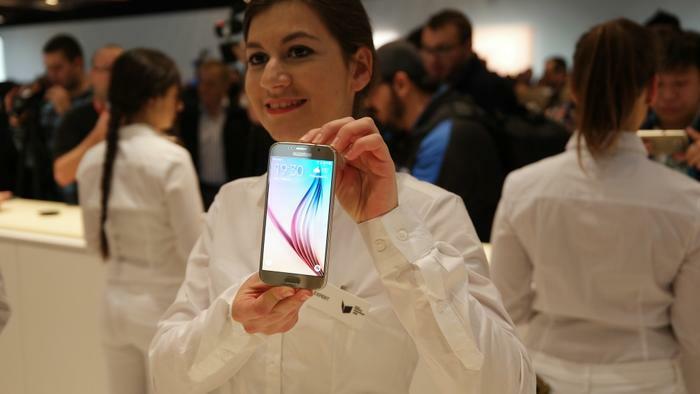 Samsung has revealed the smartphone will be released in 20 countries on 10 April. The smartphones will be made available in storage options of 32GB, 64GB and 128GB, and in colours including White Pearl, Black Sapphire, Gold Platinum, Blue Topaz (Galaxy S6 only) and Green Emerald (Galaxy S6 edge only).